As a Ranger at Glacier Point I have a perfect close-on view of Half Dome and I talk to many people each day regarding the safe technique of hiking there. 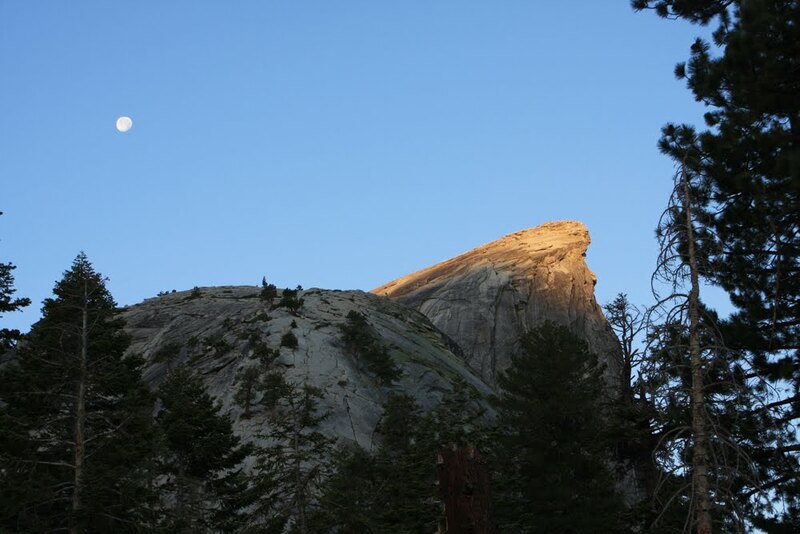 The hike is about 18 miles round trip, but more important than distance, it is a 10,000 foot elevation gain and loss. The hike is rated "Very Strenuous". 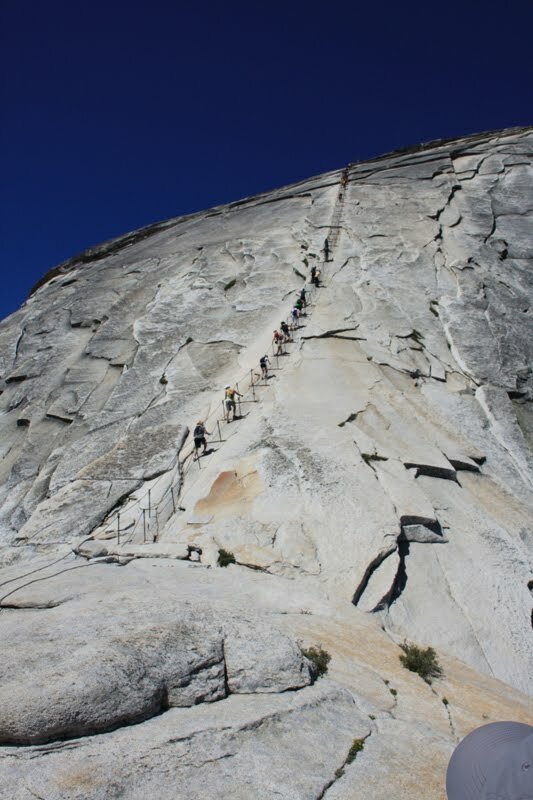 Most hikers do the hike to Half Dome in one extreme day. 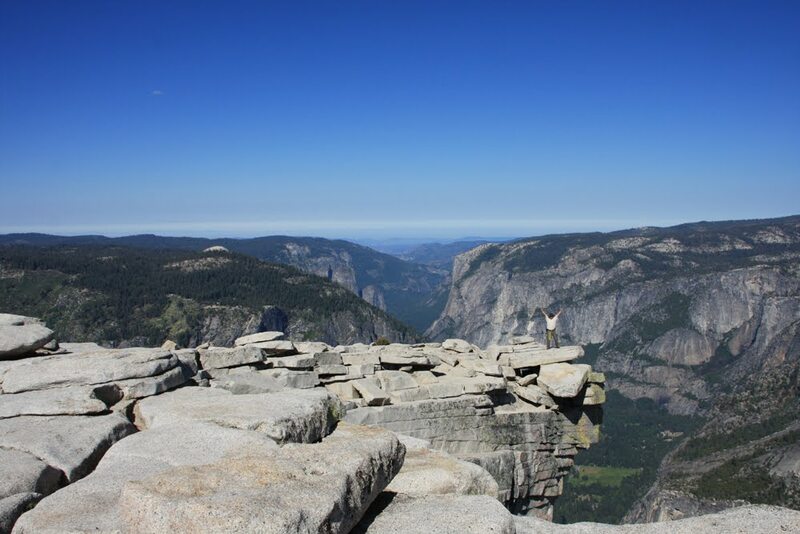 I just hiked it in 3 days. I was comfortable, my knees survived and I had the opportunity to camp out in the wilderness and develop relationships with a couple of new bear friends. I had a lot of fun. 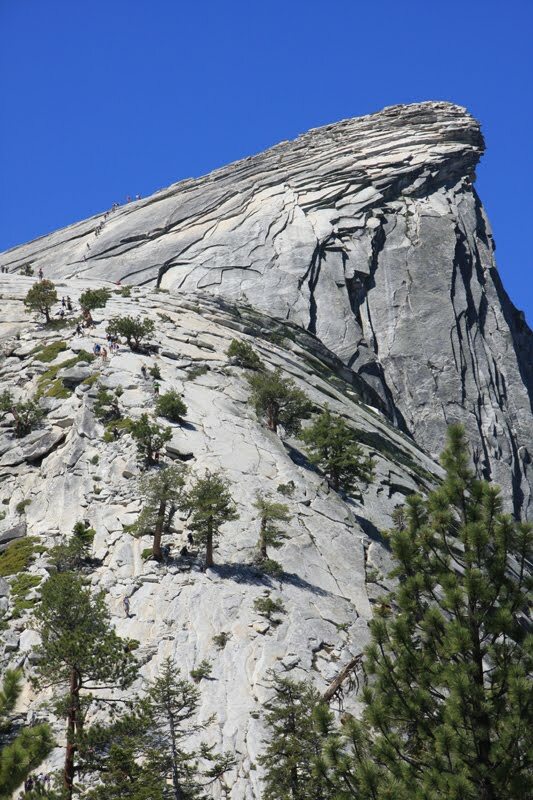 The last 440 feet of the distance, the hiker has to pull himself up on cables to the summit. The reward is worth the effort. I have included a few pictures from my hike to Half Dome. Enjoy. Great photos! Looks like a great hike! 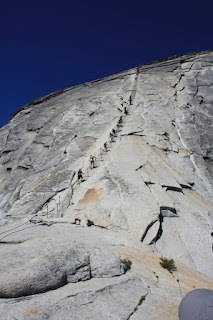 my hubby has done half dome many many times. we did clouds rest together and he said he enjoyed that more than half dome - mainly beause half dome was now included in the incredible view/s from there. i don't think i could do the cables so that is why i haven't done that hike. also, i would want to do it in one day and hubby usually goes with a group and camps in little yos valley so makes it a 2 day trip.